Malu…Malu…Malu… This is an example of how a poor education, or lack of an education, affects you. 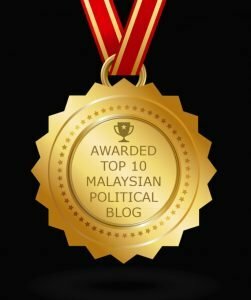 The Umno-Baru members fail to recognise that Najib is a kleptocrat, who steals taxpayers’ money and who lies. Former disgraced prime minister, Najib Abdul Razak, is desperate for supporters, that the only people to support him are Umno-Baru thugs and violence seekers. He will be in perfect company in Bamboo River Resort when he surrounded by more of the same type of people. 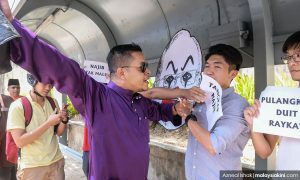 When a group of Universiti Malaya (UM) students held up a large cutout mocking Najib this afternoon, the Umno-Baru supreme council member, Lokman Noor Adam, snatched the ‘clown-faced’ cutout of Najib, and tore it. Another supporter grabbed the student, who was carrying the cutout, in a reverse chokehold and attempted to pull him over the railing which separated the pavement from the road. 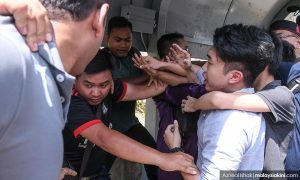 At the close of the session, several of the violent Najib’s supporters appeared unhappy at being filmed during their confrontation with the students and vented their anger at reporters covering the event. They learn a lot from violent and thuggish Umno-Baru leaders of the past, like a former Home Minister. 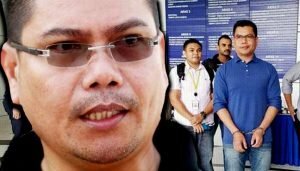 Umno-Baru only knows the message of the samseng – which is violence. Lokman said. “I don’t care if they protest, but when they use a picture of Najib, that is our boss. It is our right to take that picture and tear it. Has Lokman no sense of right or wrong? His “boss” is a penyamun. Ask prime minister, Dr Mahathir Mohamad and the majority of Malaysia. The rest of the world calls Najib a kleptocrat, and a corrupt PM. Here is another video clip of more Umno-Baru thuggery. Thuggish behaviour is encouraged by Umno-Baru leaders. The minister for Education, Dr Maszlee Malik, should take note. When you fail our students today, we will inherit a few generations of crippled minds, like Lokman and the Umno-Baru characters in the video. A poor education will fail the nation, not just the individual, because he cannot recognise a kleptocrat, a thief and a liar, when he meets one. 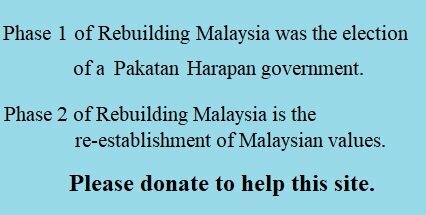 Please sort out the education of Malaysia. Do not play politics or God’s right hand man. This is the Malay way. When you criticise them, you get this reply. They want to do things different from others – the Malay way. But is the Malay way better? Look at the results. Now Daim tells them the truth about the Malay way, or the Malay dilemma. Rather a little too late. By the looks of the people in the audience, nobody is smiling. His hosts are very grim looking. Daim hit the nail on the head. Mahathir should have done that with his book, but he missed the nail completely. Bakri Musa said the same thing and now he cannot come back. Mahathir knows too well the Malay psyche. Pamper them all the time – critisize them by all means, but still give them the tongkat. That way you stay in power forever and the Malays will be stupid forever. You also will need to have the non Malays around, otherwise who is going to be the scapegoat when things don’t go well. Now the news about the coroners inquest into Adib’s death. What a horror story. IJN is guilty of dereliction of duty and medical negligence. 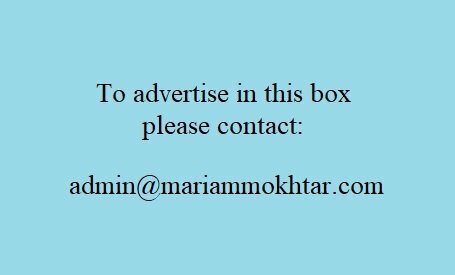 Adib died of severe pneumonia as a result of the loss of sterile environment in the High Dependency Unit. While he was in coma, he received scores of visitors daily. Pictures show him in coma, surrounded by visitors in coat and tie(no hospital gown or head gear!) hovering around him and even touching him! What a shame! The medical world is shocked that this can happen in a premier heart hospital in Malaysia. The medical fraternity in Malaysia is shell shocked to make any comments, and in any case, may be accused of being anti Malay. They are also fearful that they may one day be admitted to IJN. The dependents of Adib must sue IJN. Only then will they learn. Otherwise it will be another “tiada apa lah” case. Former MAS chairman blames Tony Fernandez for MAS’s failure. MAS had very good ticket sakes but still losing money because of the stealing from inside MAS. It is a culture, like Najib. It has been going on for 60 yrs. Every one in town knows what and how to handle government officials. So after 60 yrs, the country is on the verge of bankruptcy. Still the Malay masses want handouts and LGE is hard pressed to provide them. It is a culture. Lepak and stretch out your hand for handouts. This is why the country is going from gold to coal. The majority race cannot make the necessary changes to their mentality – their mindset. DrM is senile and has no idea what to do. He is stuck in the 80s mindset. He still hankers for a 3rd national car. He says it is the opportunity for Malaysians to learn automative making skills!. Malaysians had 30 yrs to learn from Proton. It took them 30 yrs to rectify the electric car window. And Dr M proudly announces that in public. We don’t need leaders like him who are busy working but producing nothing. Very soon we will be overtaken by Vietnam, Thailand and Cambodia. And we will be blaming somebody for our laggardness(laziness).